How is everyone holding up with participating in the 31DC? We are nearly a week into it and the thing I'm finding hardest is that I don't feel prepared enough. I usually have at least two or three blog posts ready with photos uploaded that I just need to write some fluff around. With the challenge, I'm only editing and uploading my photos the day they go live! I'm only one day in front of the challenge, eg today I'm wearing my black and white nails for tomorrows post. I feel like I need to spend one day this weekend doing three or four designs just to give myself breathing room. But I won't, I shall continue to fly by the seat of my pants for the the whole challenge. 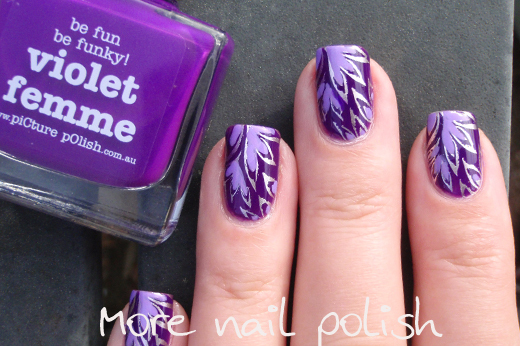 Moving on to Day 6 with violet nails. I used Picture Polish Violet Femme as my base and stamped with Bundle Monster Plate BM210 using Color Club Nothing Else Metals. 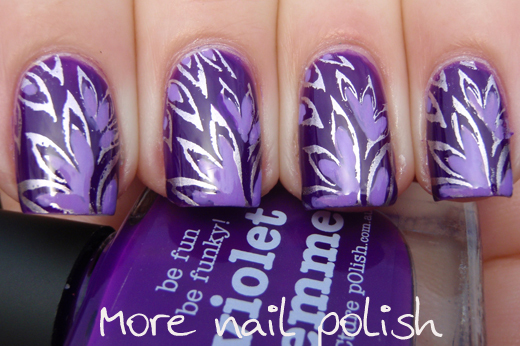 To add a little more interest to the design, I filled it in with Picture Polish Wisteria using a nail art brush. Those two picture Polish shades go so perfectly together. I used Violet Femme too! I like yours more though! This is really adorable! Love the design. It looks a little bit like purple fire - it's beautiful! WOW! Another amazing design you came up with. This is just stunning! So pretty!! 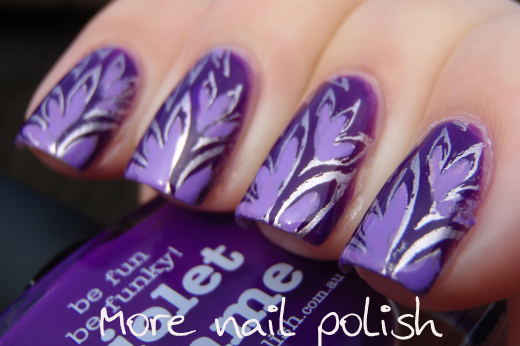 I need to try stamping and accenting! so pretty! 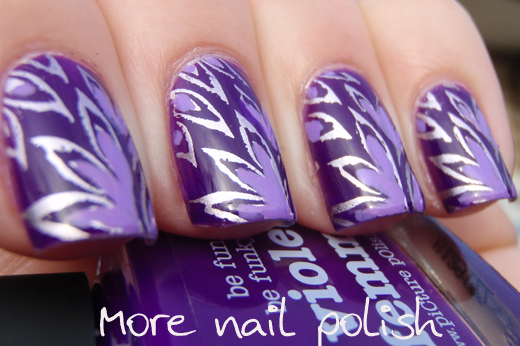 the lighter color perfected this mani!! 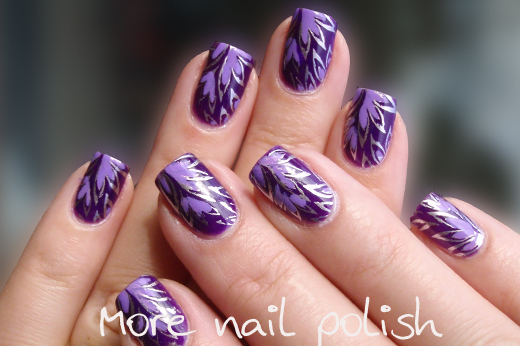 Sooooo gorgeous, especially with the purples! I love how you used this stamp! I should play around more with mine, instead of just sticking them straight on the nail.